England batting coach Mark Ramprakash says ‘inexplicable’ county pitches are not helping create top-order batsmen for Test cricket. 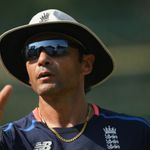 1:49 Mark Ramprakash says county pitches are not helping create top-order batsmen for the England Test team Mark Ramprakash says county pitches are not helping create top-order batsmen for the England Test team England batting coach Mark Ramprakash says ‘inexplicable’ county pitches are not helping create top-order batsmen for Test cricket. England have been bowled out for 77, 246, 187 and 132 in the first two Tests against Windies to slip to a series defeat and will now try to avoid a whitewash in St Lucia from Saturday, live on Sky Sports Cricket. 2:20 Nasser Hussain says England must start producing high-quality top-order batsmen with skills suited to bat long in Test cricket Nasser Hussain says England must start producing high-quality top-order batsmen with skills suited to bat long in Test cricket “We are looking for batsmen with good technique and concentration to bat time – to get through the new ball and build an innings. 0:52 Former England Test batsman Nick Compton questions whether Joe Root’s captaincy is putting a strain on his batting Former England Test batsman Nick Compton questions whether Joe Root’s captaincy is putting a strain on his batting “We have several players who have played over 50 Tests and you are looking for that experience to lead the way but they are human,” added Ramprakash. Mark Ramprakash on Antigua Test “They perfected the art of batting over long periods and we are constantly challenging our players – can you do that?